As a writer who can work wherever I take my laptop, I get most things done using Linux. But there’s more to making a living as a writer than putting words on a screen. I must have my finances in order, especially when tax season rolls around. Linux makes this easy to do. 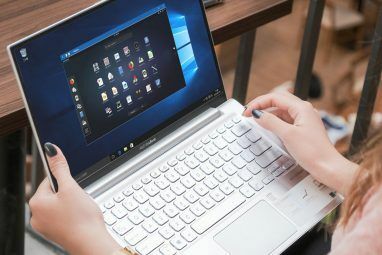 No, you won’t be able to purchase a copy of Quicken from the store and run that natively, but there are plenty of free alternatives that are more than capable of balancing a checkbook or two. 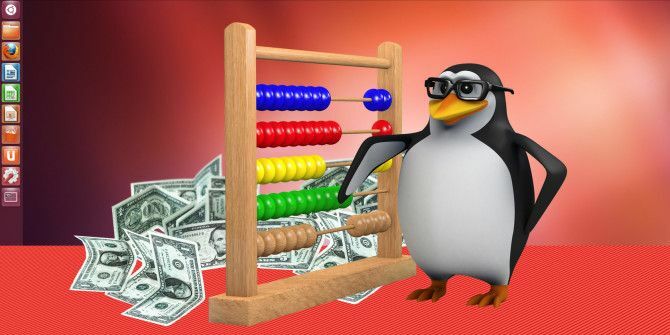 Here’s how you can use Linux to stay on top of your finances. One method that works regardless of your operating system is to manage your finances using spreadsheets. Depending on how much experience you have, this may be the most powerful option. Even if you’re a spreadsheet newbie like myself, this is still a great way to create a broad snapshot of your overall financial situation. Consider creating spreadsheets that track your total monthly bills or debt. Add that up to get an annual view. Using the equation =SUM(x,y) can do the math for you. It’s the only command you need to know. But you can also look at these finance templates 15 Excel Spreadsheet Templates for Managing Your Finances 15 Excel Spreadsheet Templates for Managing Your Finances Always keep track of your financial health. These free Excel spreadsheet templates are the tools you need to manage your money. Read More for inspiration. 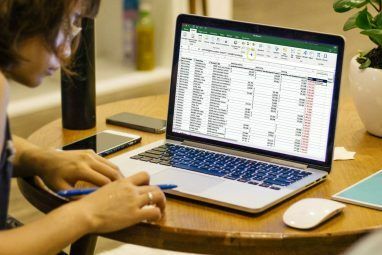 If you really want to compare numbers, try setting up a pivot table How to Use an Excel Pivot Table for Data Analysis How to Use an Excel Pivot Table for Data Analysis The pivot table is one of the single most powerful tools in the Excel 2013 repertoire. It is frequently used for large data analysis. Follow our step-by-step demonstration to learn all about it. Read More (yes, that’s an Excel link, but much of the information transfers across spreadsheet apps). Chances are, LibreOffice Calc came pre-installed with your Linux distribution. It’s the most feature-rich and compatible option available. But if you’re looking for alternatives, try out Gnumeric or Calligra Sheets. They’re more than adequate for the job. An advantage of spreadsheets is that they’re portable, so you can view them on any computer or your phone. Print them out and send them to your accountant at tax time. Use the information when applying for a home mortgage. The data is already sitting on your computer in a readable format. Sometimes the simplest solution is best. Spreadsheets may be easy to set up, but they require some familiarity and expertise to get started. I had someone walk me through the basic commands, formulas, techniques, and keyboard shortcuts before creating my own. Dedicated accounting apps make it easy to get started without help. Plus they can do a more thorough job collecting, categorizing, and presenting financial information. GnuCash and HomeBank are two great options if you’re using a GTK-based desktop, with the former being loosely part of the GNOME Office suite 10 Productive GNOME Office Apps You Need in Your Home Office 10 Productive GNOME Office Apps You Need in Your Home Office GNOME Office doesn't exist... or does it? 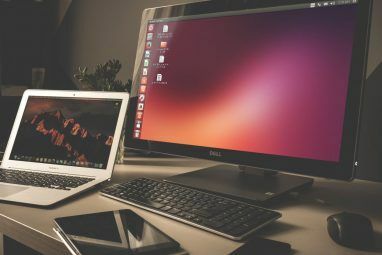 These ten apps don't form a cohesive office suite, but they come close, and are likely to help you be productive from your Linux desktop. Read More . KDE users may want to check out KMyMoney instead KMyMoney vs. GnuCash: The Battle Of Linux Desktop Money Management Apps KMyMoney vs. GnuCash: The Battle Of Linux Desktop Money Management Apps It's really important to keep track of your financial position. Online banking can keep you up to date about your account activity and balance, but not every bank offers more tools than that in order... Read More . Whichever app you pick will prompt you to create accounts and enter every financial transaction you make. Depending on how often you shop, this can get tedious. The apps all support importing data in QIF and CSV formats — though from my experience, this doesn’t always work. Each transaction involves a payee and a category. 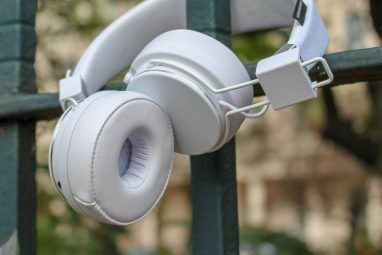 After a month of tracking your finances, you will be able to view whether you spent more money on entertainment than you thought you did, and you may find that you give one particular restaurant enough money to own a small stake. Each of the apps can handle personal finance, but GnuCash has features aimed at small business use as well. All are capable of creating budgets and monitoring how well you stick to them. GnuCash, HomeBank, and KMyMoney are all mature projects that have been around for a decade or two. If you’re interested in younger software, try Buddi or Grisbi. I’ve never used either one, but it’s nice to see fresh software stir the pot. You don’t have to understand the terminal to enjoy Linux, but if you do want to embrace the text-based way of interacting with your computer, you will come across ways to do just about anything. Yes, that includes managing your budget. Ledger and Budgetwarrior are two similar options where you create accounts, add expenses, and generate reports. The feature set is similar to what you would find in a graphical app, only without the pretty interface. Then again, beauty is in the eyes of the beholder. Ledger stores data in a text file, so you know what’s going on with your information. You don’t have to worry about some automated process funking with your numbers. And there’s something to be appreciated about keeping things simple — if you know what you’re doing, that is. Fortunately there’s plenty of documentation available to those eager to learn. How Are You Managing Your Money? If you don’t like any of the above options, you can still turn to Mint or one of the many other online services available Get Your Finances In Order With 9 Financial Web Tools Get Your Finances In Order With 9 Financial Web Tools Money is something that we all want more of, but to get more of it requires us to do two things - bring more in or spend less. Preferably both. But how do you do... Read More . Regardless, switching to Linux was already one smart financial decision. You’re saving money on upgrades, applications, and hardware. Sticking with open source software can save you from the money pit that is planned obsolescence Defeat Planned Obsolescence with Linux and Open Source Software Defeat Planned Obsolescence with Linux and Open Source Software Unlike a 5-year-old PC, a 5-year-old smartphone can barely run any modern apps. But there is a way to enjoy the benefits of technology without buying new hardware: embrace Linux and free software! Read More and put you one step closer to financial security. How do you monitor your finances? Are there programs you miss using since switching to Linux? What tips would you recommend to others? Let us know! Explore more about: Linux, Personal Finance, Spreadsheet. WPS Office looks very good and is similar to Microsoft Produkts. Manager Accounting from manager.io with invoices, contacts. Homebanking with hibiscus plugin on jameica. Great suggestions! I hadn't heard of Manager.io, but the software looks useful.